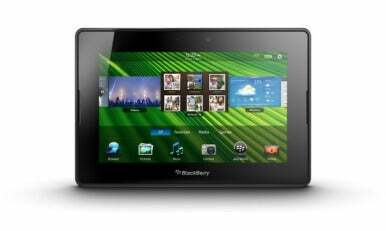 It’s been half a year since Research in Motion unveiled its BlackBerry PlayBook tablet based on the QNX operating system. Last week, RIM began shipping the 7-inch tablet. After spending a couple days with the final product, it’s clear that the PlayBook is a useless device whose development is unfinished. Not only can it not compete with an Apple iPad, it can’t compete with the second-best tablet, Motorola Xoom, nor even with marginal Android tablets such as the Galaxy Tab that use the smartphone version of the Android OS rather than the Honeycomb tablet version. In fact, if my choice were between a PlayBook and a Windows 7 tablet—my benchmark for unusability—I think I’d rather go sans tablet. I knew the prerelease reviews were negative, and I had my own concerns after seeing a PlayBook demo in January. But even those didn’t prepare me for the profound disappointment that is the PlayBook. Why did RIM bother shipping it? The fundamental nature of the PlayBook’s flaws begin with the requirement that a BlackBerry be tethered to it for access to business e-mail, calendars, or contacts. Other than using a Webmail client, a PlayBook without a BlackBerry is unable to communicate. You can’t connect to POP, IMAP, or Exchange servers directly from the tablet, as you can from an iOS or Android device—you must have a BlackBerry tethered via Bluetooth using the BlackBerry Bridge application. In that case, you essentially see your BlackBerry e-mail, calendar, and contacts in a window on the PlayBook when connected. Companies that don’t use BlackBerry smartphones will be in the same position as AT&T-provisioned BlackBerry device users like me: The PlayBook will not be viable for business communications. Webmail is a poor substitute for native e-mail. Despite AT&T’s prohibition, I was able to install the BlackBerry Bridge software on a BlackBerry Torch, using instructions posted at CrackBerry.com. Once Bridge is installed on the BlackBerry and the two devices are paired—a simple operation—the BlackBerry’s e-mail, contacts, calendar, and file browser apps become available on the PlayBook. When you run them on the PlayBook, the apps take advantage of the larger screen and, thus, are more accessible than on the BlackBerry, at least for tap-oriented users. You have to be careful about the distance between your PlayBook and BlackBerry—the Bluetooth connection can’t go much beyond 10 feet, at which point the BlackBerry apps disappear from the PlayBook. The apps don’t automatically reconnect when you’re back in range; you need to open one for Bridge to reestablish the connection, which can take up to a minute. When not connected to a BlackBerry, the PlayBook is limited to running a Web browser and a few included apps: the music and video players, Twitter, YouTube, Bing Maps, Adobe Reader, the ancient Tetris game, and the trio of To Go office applications (Word, Sheet, and the view-only Slideshow). Those To Go apps (developed by RIM) are based on the serviceable Documents to Go apps (developed by DataViz) available for iOS and Android, and they work similarly. It’s not clear why RIM bothered to hire away most of DataViz’s development team to bring these apps in-house; the PlayBook versions don’t do anything more than the DataViz equivalents, other than look a little cleaner. They certainly don’t hold a candle to the iWork apps on the iPad, which come close to desktop quality. And they lack the ability of DataViz’s iOS and Android versions to connect to cloud storage services such as Dropbox, Google Docs, and Box.net; you’re restricted to file exchange via email, Bridge tethering, and USB file transfer. The PlayBook also comes with apps for Gmail, Yahoo Mail, Hotmail, and AOL Mail—except they’re not apps. Instead, they launch the Webmail pages for their respective services, whose Web interfaces are clunky and not terribly gesture-savvy. I felt cheated. Also, interacting with a Web page on a 7-inch tablet screen is no picnic—you need a native client in that size. The basic apps (the real ones, that is) on the PlayBook aren’t terrible, but neither are they special. You could get these apps—better versions, in many cases—on an iPad or an Android tablet, plus a whole lot more. There’s very little for the PlayBook on the BlackBerry App World store, and what there is are the kind of “lite” demo apps that serve to fill space on the virtual store shelves. There’s no contest: If you want to do stuff, get an iPad or Android. Developers of Java and Android apps can recompile their apps to run on the PlayBook, which might lead to many useful PlayBook apps at some point. But RIM’s notoriously difficult app process has discouraged many developers, so even those who might consider porting existing apps as a cheap way to gain presence on the PlayBook are likely thinking twice about making the effort. RIM provides desktop management software for the PlayBook for backup and file transfer (such as to import a music library), but that software does not see the PlayBook on either a Mac or Windows PC. The PlayBook does see the Mac or PC when connected, ironically, but can’t do anything with it. RIM says PlayBook-compatible Mac desktop software will ship “this summer.” The current Windows desktop software is supposed to work, but it didn’t on my two XP PCs; the problem was the lack of a PlayBook driver, which didn’t come with the PlayBook, wasn’t available at RIM’s Website, and wasn’t available to Windows Update. So I couldn’t sync. Until RIM fixes these omissions, home users will be essentially locked out of using their music, videos, and other media files—obviating the “play” in PlayBook. If you’re tethered to a BlackBerry, you can rest assured that your communications are secured. But if you don’t use BlackBerry tethering, then you have no security, as you must use standard IMAP and POP connections to your e-mail. The PlayBook is unsecured by default. Although the BlackBerry desktop software doesn’t work with the PlayBook, my Mac was able to mount its internal storage over a USB connection and access its files. Fortunately, you can turn off USB and Wi-Fi file sharing separately, as well as set up a device password that must be entered to share files, as on an iPad or a Xoom. You cannot use BlackBerry Enterprise Server (BES) to force the use of passwords on the PlayBook, or to enforce rules such as password complexity or expiration, as you can for BlackBerry devices. By itself, the PlayBook has rudimentary security controls and no facility—BES or otherwise—for IT to enforce security policies. Also, there’s no on-device encryption, which could be an issue for stored data. Corporate e-mail, calendars, and contacts are of course not on the PlayBook itself, so they are de facto secured by being unavailable if someone steals or finds your PlayBook. Everything else, however, could be accessible. By contrast, an iPad or Xoom can be secured directly via an Exchange server or mobile management tool; an iPad can also be secured through the use of configuration files installed directly by IT. RIM has very much dropped the security ball when it comes to the PlayBook. With all the functional limits and partial implementations of the PlayBook, you would think it was a total disaster—but it does have a nice user interface, a clean cross between WebOS’s concept of cards and Mac OS X’s Dock Exposé. The screen is divided into three basic areas you can hide and show: a menu bar at the top you pull down, the central window that shows the apps and their contents, and an app bar at the bottom you pull up to see all apps. Thus, it doesn’t take long to get to an app or a control, yet it avoids both the screen clutter common on Android devices and the sometimes too-simplified view of iOS. The UI isn’t perfect, though: It’s hard to position your cursor inside text. You have to tap at the right spot since there’s no magnifying-glass tool as in iOS or BlackBerry OS 6 to help you see your cursor’s position relative to the text as you move. But the selection handles are nice and big. The onscreen keyboard is serviceable, though due to the small screen, it’s nearly impossible to touch-tap. The Web browser, based on the WebKit engine used by iOS and Android, is also serviceable. It has a handy full-screen option, except you lose all navigation except Back in that mode, even though there’s room enough to retain the Forward and Refresh buttons. The browser’s live preview windows for tabs is sophisticated in the style of Mac OS X’s Dock and Windows 7’s preview tiles. Note: Many Websites won’t know the PlayBook’s unique user agent and thus will think it’s a BlackBerry, presenting you with the mobile version of their sites. (You can see its user agent via InfoWorld’s free Web-based user agent checker tool.) On the 7-inch screen, such “mobile optimized” sites often display awkwardly, and you can bet any Flash content is excluded. On the bright side, the PlayBook supports Flash, with no need to download a player as on Android. But Flash objects are often slow to load, and some would not function. That’s an issue Flash also has on Android, as my colleague Neil McAllister discovered in his extensive Flash tests. It’s becoming increasingly clear to me that Flash and mobile don’t mix. The physical device is a bland black slab, with a too-small power button that’s hard to press when the screen goes to sleep. The storage is fixed, as in the iPad, so you can’t insert an SD card later on. Battery life is good, easily matching the iPad’s 10 or so hours a day. There are front and rear cameras, along with a Mini HDMI port for screen mirroring. The PlayBook nicely mirrors its screen to a TV or monitor via an HDMI cable connected to its MiniUSB port. The text and graphics are crisp, even on a 46-inch HDTV. Also, the mirroring is automatic: Plug the cable into the two devices and you’re done. Beyond the limited functionality of the PlayBook, I was repeatedly struck by the number of glitches I experienced, even after running the OS update released the same day as the tablet. The PlayBook simply felt as if it debuted before it was ready. That’s very troubling for a product intended to lead RIM’s charge into the tablet era. For example, after I set up Bridge and opened my BlackBerry apps on the PlayBook, the e-mail screen often displayed as a blank white screen, and selecting or scrolling messages resulted in spastic flashing for several seconds each and every time. There was no way I could read or compose e-mail. Powering down and restarting didn’t help. Fortunately, the problem resolved itself by the next day, with the gremlins disappearing overnight while the PlayBook was left on and asleep. I also experienced system memory issues. Running more than a half-dozen apps prevented new apps from opening and interfered with apps in operation; for example, the calendar closed when I tried to add appointments and videos didn’t play. It’s been more than a decade, during the days of early Windows and Mac OSes, since I saw such memory-handling issues in an operating system. Again, the next day, these issues disappeared, and I could run a dozen apps simultaneously without issue. One issue that hasn’t resolved itself: The PlayBook does not handle single-orientation apps well. For example, if I launch the portrait-only Tetris game when in landscape (horizontal) mode, the basic PlayBook controls move as if I had turned the PlayBook to portrait (vertical) orientation. Thus, the normal navigation gestures no longer work until I either rotate the PlayBook to portrait mode or shake the PlayBook to force it to return to landscape mode. This kind of glitch never occurred in iOS or Android devices I tested, not even in first-version models. Bugs are to be expected in any new product, but these issues were more severe than I’ve seen in competitors’ first-time products. It suggests a lack of quality control. RIM has priced the PlayBook to match the cost of an iPad: $499 for 16GB, $599 for 32GB, and $699 for 64GB. There are no 3G models. But the real cost is higher, as you also need a tetherable BlackBerry to use the PlayBook for business communications. The 7-inch screen size is too small for many Websites, as well as for text-heavy uses, and the lack of native apps means there’s not much you can actually do with it.